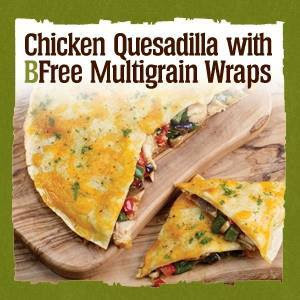 Go Gluten-Free without Sacrificing Flavor with BFree Foods! I really try to incorporate a wide variety of foods into our family's diet including gluten free products. No one is gluten intolerant in our house but I think it is definitely important to incorporate gluten free products in our diet as much as possible! So when I find a really great gluten free company that offers tasty products where no one can tell they are gluten free, I am so EXCITED! 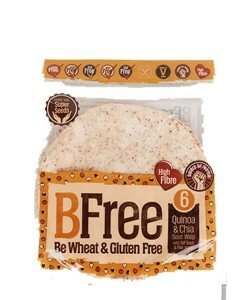 This month I am so EXCITED about BFree Foods, a brand new gluten-free bread company in the U.S. For families who are celiac, vegan or otherwise concerned with their health, BFree offers a DELICOUS line of wraps, rolls, bagels and bread loaves that are wheat-free, low-fat and high-fiber. Parents and kids alike love BFree’s products because they taste great and won’t fall apart like other gluten-free alternatives. Plus, they’re calorie-responsible; the Multigrain Wraps, for example, are only 100 calories per wrap. We have been trying many of their different products in our meals lately including making quesadillas and tacos with their gluten-free wraps, pizza bagels with their Multiseed Bagels, and sandwiches and grilled cheese with their sandwich breads. Every single meal has been delicious and easy to make and use using BFree foods! And NO ONE has noticed they are gluten-free..if anything they have commented that the meals tasted even better using BFree foods! So if you are looking to make the switch to gluten-free foods, then I recommend starting with BFree Foods! 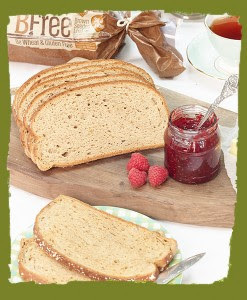 They really are a delicious range of gluten and wheat free products that have great nutritional profile and taste great! Definitely one of the tastiest gluten free companies we have eaten in our house!! You can purchase BFree foods at your local retailer.